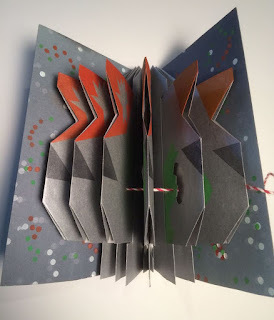 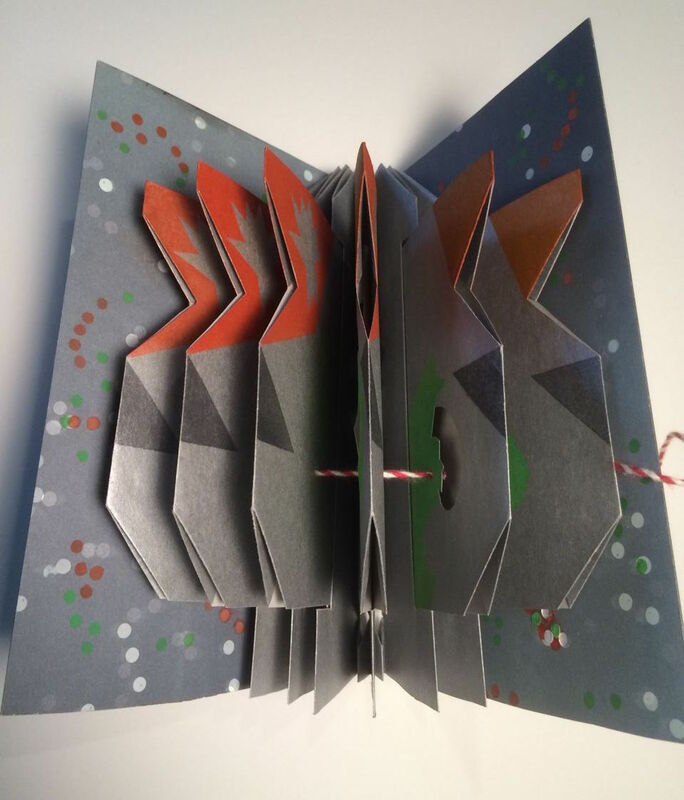 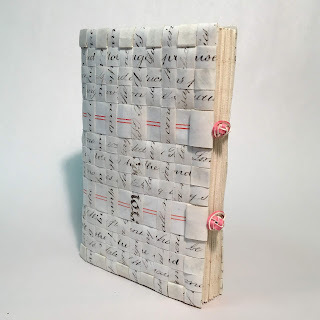 To honor Keith Smith's contribution to the book arts community, participants from the Delaware Valley Chapter of the Guild of Book Workers have responded to a structure or technique found in his five volume set, 'Non-Adhesive Binding'. 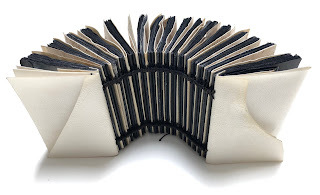 These popular volumes provide comprehensive instruction on bindings that require no adhesive/ heavy equipment or elaborate tools. The innovative and versatile approaches to binding have inspired students, teachers, and book artists to create structures, both simple and elaborate, that are able to support content or exist as a stand-alone form. 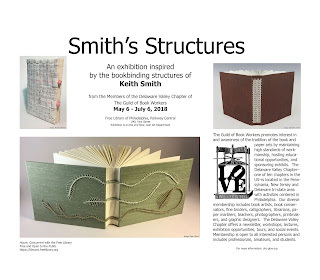 This exhibition runs concurrently to Keith Smith at Home, on view at The Philadelphia Museum of Art until July 8.